Author, Sean Kouplen, served as an adjunct professor for Oklahoma State University in Tulsa, OK. He taught a variety of classes including Business Communication, Organizational Behavior and Commercial Bank Management. Students were often filled with uncertainty about their future. The questions were always the same: How do I choose the best career for me? How do I select the best employer? How do I gain an advantage over my competition in the job search? What is life really like in the corporate world? How can I move up the corporate ladder faster? What are the keys to living a fulfilling life? 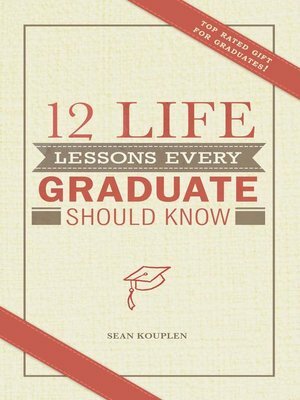 12 Life Lessons aims to answer as many of these questions as possible, and offer a nugget or two to help you start strong as you enter the real world.